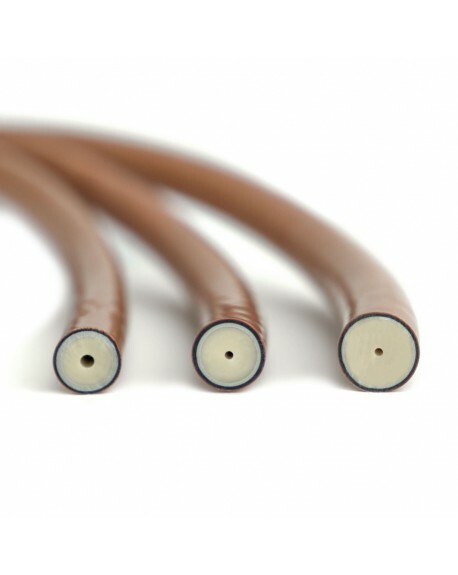 The new MAGNUM PLUS innovative rubber band by CETMA COMPOSITES are made of the highest quality materials. This is the first rubber without additives so you can experience the natural rubber real properties, in fact all the commercial rubber is made with several additives for example anti-UV additives which modify also the mechanical performances of rubber. On contrary our rubber is pure but with external thin layer which is a UV-block (black layer). 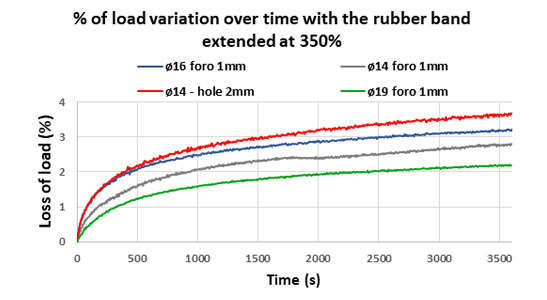 So for the first time you can experience the performance of natural rubber!!! 3. The third gray layer is made with a specific higher modulus natural rubber to increase the knot resistance. 4. The last, core layer is pure natural LATEX. Thanks to the barrier layer, it is possible to use pure LATEX without using additives. 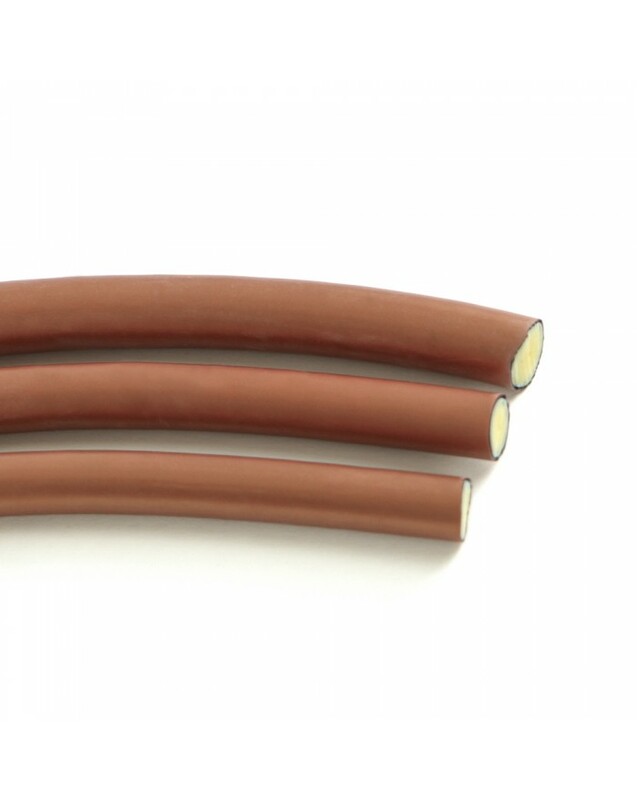 This Features makes our product to better perform than other traditional rubber band, and allows the performance of the rubber band to be maintained over time. 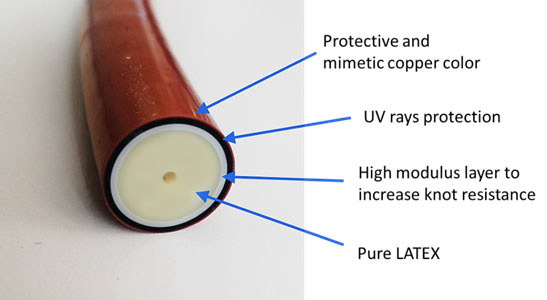 The external layer is however made of latex with special additives that, besides acting as specific function, contribute to the rubber band reactivity. Moreover, they are made with much lower internal hole diameter than traditional ones (only 0.9 mm) allowing to have a greater quantity of rubber at the same external diameter and consequently greater power. Their internal structure makes them very performing at different elongation factors, keeping the load constant with the elongations of rubber band up to 350%. In the table are reported the developed force at several elongation’s fatctors , these data are useful for setting your speargun, but we strongly suggest to try at 300% elongation you’ll be astonished on how stable and performing will be your spearguns. 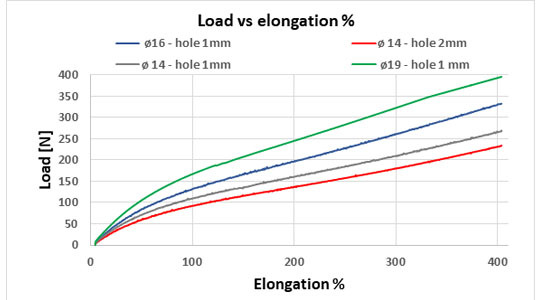 CETMA COMPOSITES Magnum Plus Rubber Band Hardness/Type Force at 300% elong. Force at 310% elong. Force at 320% elong. Force at 330% elong. Force at 340% elong. Force at 350% elong. Force at 400% elong.